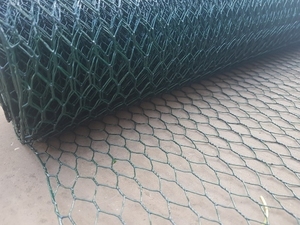 Green PVC coated hexagonal wire netting also known as chicken wire is available in 13mm, 25mm and 50mm mesh holes sizes and in 50cm high and 1m high rolls. 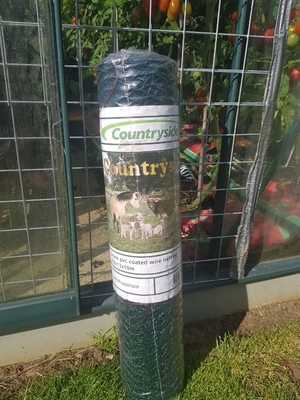 Supplied in 10mtr and 25mtr lengths, the green PVC coating is ideal where a green fencing is required for lightweight garden fences, chicken runs, rabbit fences and crop protection. 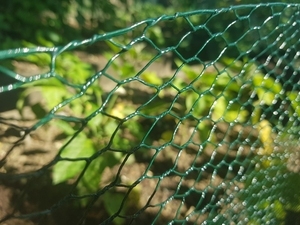 PVC coated chicken is ideal where a fence or crop protection application is required to be discreet and blend in better with a hedge, garden or grass area.